Buy or Sell Used Polycom SoundStation, Polycom Conference Phones. Polycom Soundstation Conferencing Phones. Refurbished Polycom telephones. We will pay you top dollar for your used Polycom phone system. Just contact us today to sell used Polycom phone systems in good working condition. We pay for freight. Call 1-888-234-4975 for more details. Email sellphones@businessphonesystems.com or call 1-888-234-4975 today. In the current business atmosphere, communication is clear. Being able to make conference calls with vendors, clients, remote workers and other partners is becoming the norm. That's why having crystal-clear conversations are a must for productive meetings. Polycom's SoundStation Conference Phones give you great voice quality, expansive microphone pickup, advanced audio processing, and features that make confernce calls seem as natural as having a face-to-face. 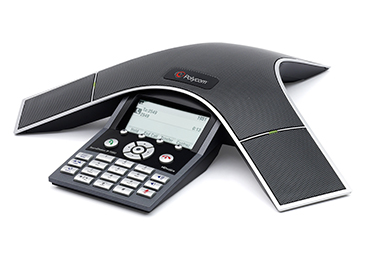 At Business Phone Systems, we have great Polycom SoundStation Conferencing Phones available including the 2W Expandable Conference Phone, IP 4000, IP 5000 PoE Conference Phone, the IP 6000 PoE Conference Phone, the IP 7000 PoE Conference Phone, the Duo Conference Phone, The VTX 1000, the SoundStation 2 Expandable Conference Phone, as well as the SoundStation 2 Microphone. Call us today at 1-888-234-4975, and we'll be able to quickly help you with your order. We can quote an existing system configuration or design a refurbished Polycom phone system to fit your needs. If required, we can install your refurbished used Polycom telephone system through our nationwide network. Visit pages below for your used Polycom phones needs. All phone systems and phones are fully tested, refurbished and delivered with a warranty. We guarantee your complete satisfaction. Choose from packaged systems or we can tailor a system just for you. Either way, you will save on top quality refurbished used phone systems for your small business. Ask about installation. Visit What We Buy for details we need to make an offer for your used phone system. We handle and pay for freight.